This website is a highly experimental tool for publishing galleries of astrophotos online. It was developed by Dominic Ford in 2019. At some point I may open it up so that anyone can upload their images into it. First I need to fix all the problems, though! I work on the Exoplanet Analysis System for the European Space Agency's forthcoming PLATO mission, which is scheduled for launch in 2026. 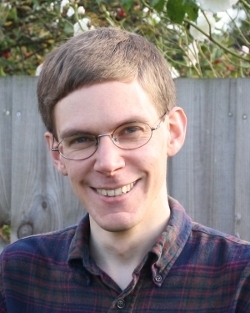 I am based at the Institute of Astronomy in Cambridge, UK, where I work with Nicholas Walton. From 2017 until 2019, I worked at Lund Observatory, Sweden, leading the development of the 4MOST consortium's data analysis pipeline for spectroscopic surveys of the Milky Way. In particular, I studied the strengths and limitations of machine-learning techniques for analysing astronomical spectra, since such methods may be the only feasible way to process the tens of thousands of spectra that 4MOST will observe every night. In-The-Sky.org – a guide to what's visible in the night sky, which automatically tailors information to wherever you happen to live on Earth. ScienceDemos.org.uk – a collection of fun interactive online science demos. HillTopViews.org.uk – a three-dimensional terrain map of the world, based on altitude data collected by NASA's Shuttle Radar Topography Mission (SRTM) in 2000, combined with additional open-source data from Open Street Map. Dominic's photos – When I'm not doing other things, I dabble in amateur photography, and you can find some of my photos here. An astrophoto archive – A highly experimental tool for publishing galleries of astrophotos online, searchable by object name or celestial coordinates. Pi Gazing – a fun project to set up a network of motion-sensitive security cameras which triangulate the three-dimensional trajectories of shooting stars, satellites and aircraft. We use Raspberry Pis to do the real-time image analysis, running astrometry.net to precisely determine the direction each camera was pointing, and a GPS receiver to determine their positions. This project ran from 2014–2016 in collaboration with Cambridge Science Centre under its former name of MeteorPi. I doing some work in my spare time to try to restart. The code needs a lot of cleaning up, but is all available on GitHub. The Observer's Guide to Planetary Motion – My book, which describes much of the science behind how In-The-Sky.org does its calculations. Pyxplot – A graphing and vector graphics package which I wrote in 2008–2012. GrepNova – an automated image-comparison tool for amateur astronomers who hunt for supernova. This tool was used by Tom Boles, who currently holds the world record for the largest number of supernovae discovered by any single individual. Naked Astronomy – Between 2012 and 2014 I worked for the Naked Scientists in Cambridge, where I produced the monthly STFC-funded podcast Naked Astronomy. I also spent one day a week in the newsroom of BBC Radio Cambridgeshire, acting as a science advisor. Square Kilometre Array – Between 2007 and 2012, I worked at the Cavendish Laboratory, Cambridge, investigating the feasibility of using Graphics Processing Units (GPUs) to build a correlator for the SKA. PhD Thesis – I was awarded my PhD from the University of Cambridge in 2008, where my supervisor was Prof Paul Alexander. I built a model of the infrared spectra of dusty star-forming galaxies, which were being observed in large numbers at that time by Spitzer. In the 1990s I was the kind of geeky teenager who sat in my bedroom writing computer games for my Acorn Electron. I even got a couple of them published. Though the reviewers spotted, quite correctly, that I wasn't very good at making up story lines. Shipwrecked – Published here and reviewed in detail here. In the unlikely event you want to try and complete it, you may find this solution useful. It even got ported to the Commodore 64! All of the information and diagrams on this website are © Dominic Ford. You may not derive any profit from your reproduction of material on this website, unless you are a registered charity whose express aim is the advancement of astronomical science, or you have the written permission of the author.